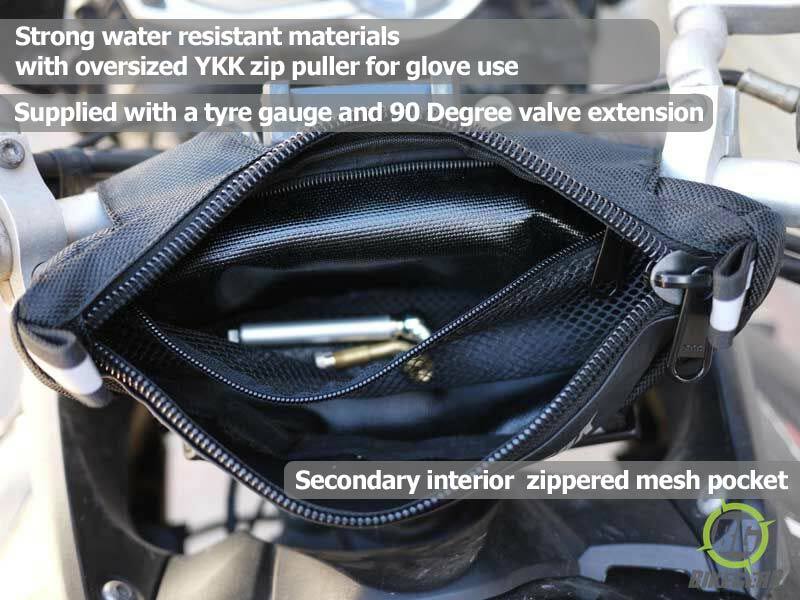 A multi purpose motorcycle handlebar/crash bar bag for easy access to important items. 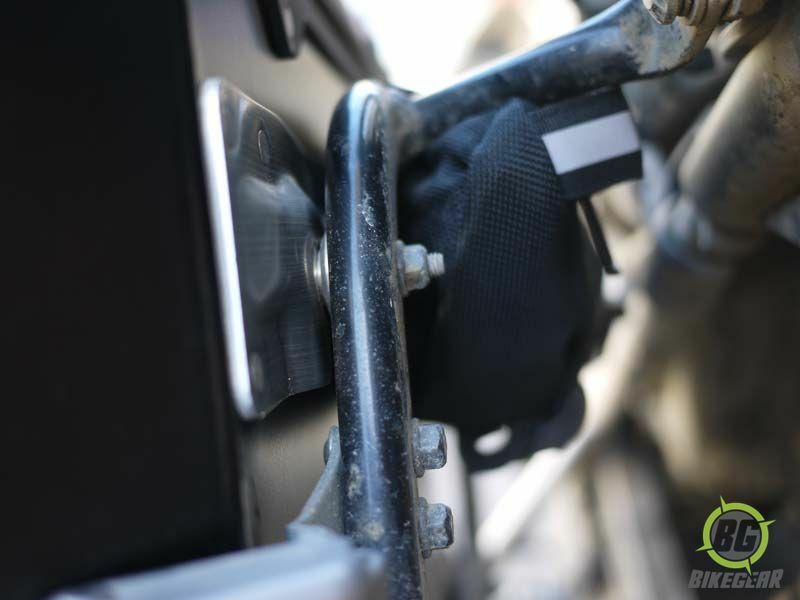 Dual mount system for added safety. 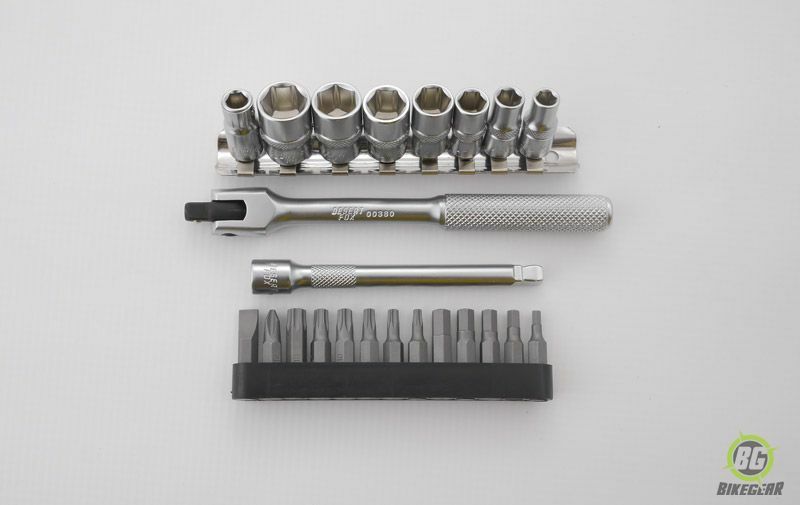 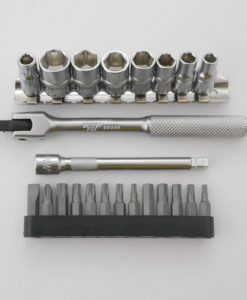 Supplied with unique safety extras including tyre gauge and 90 degree tyre valve. 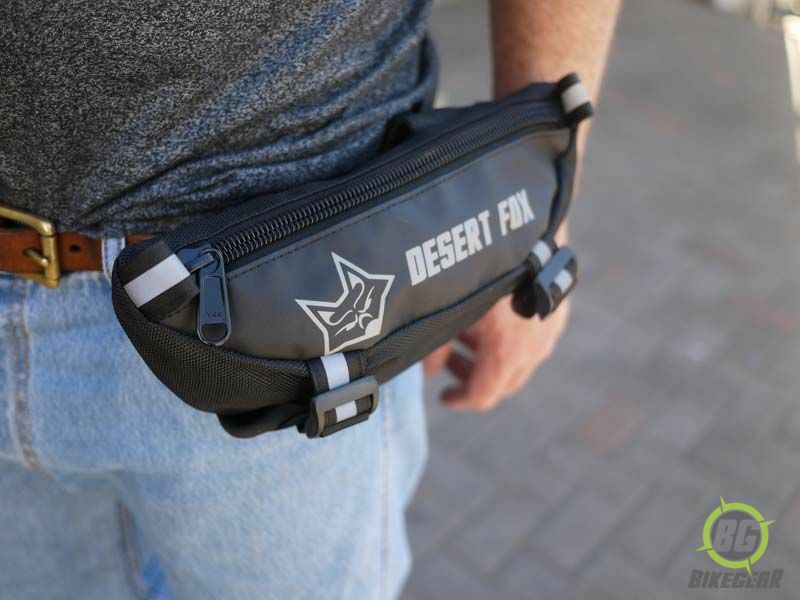 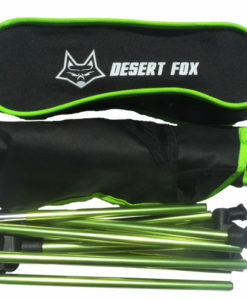 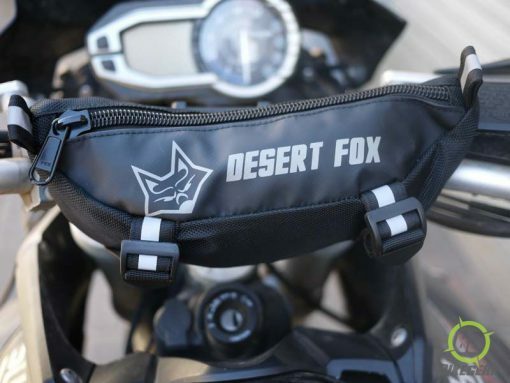 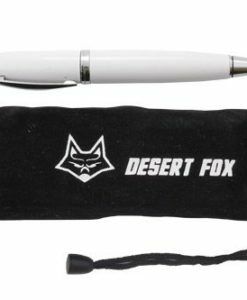 The Desert Fox EzPack handlebar bag is ideal for storing those items you need to access easily and quickly on your bike such as keys, wallets ,cell phones, ear plugs and small cameras. 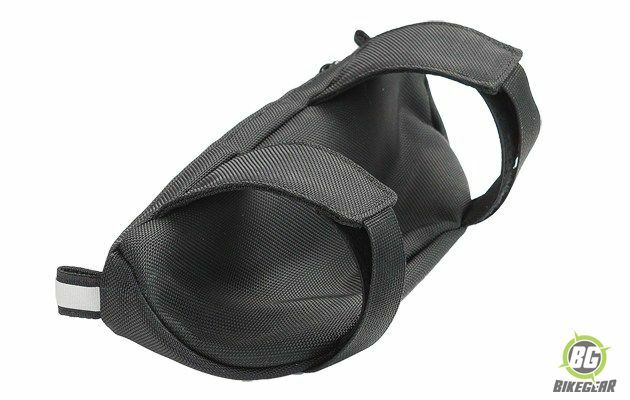 Inside the bag you will also find an additional zipped mesh compartment allowing for items to be separated. 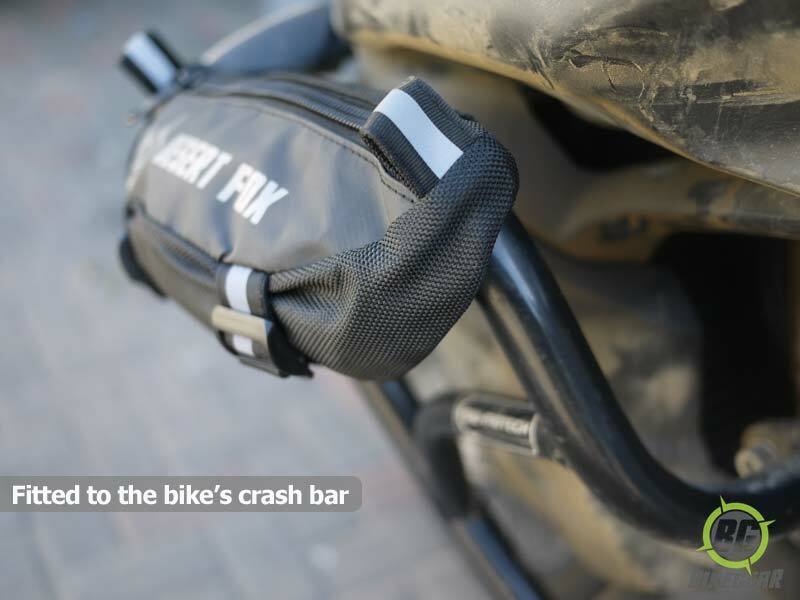 Constructed with heavy duty material (and a purposely designed glove friendly YKK zip) it easily installs on the handlebar or elsewhere on your bike. 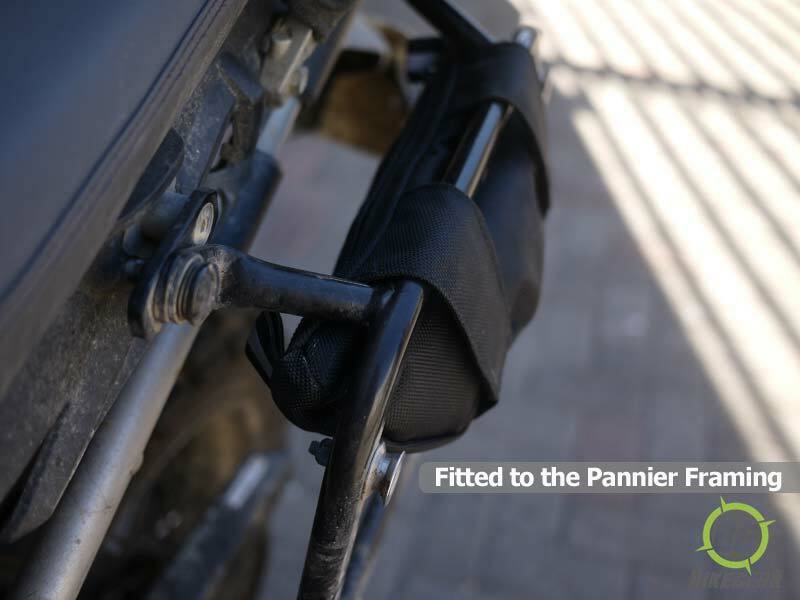 Fitment is not only limited to the handlebar though. 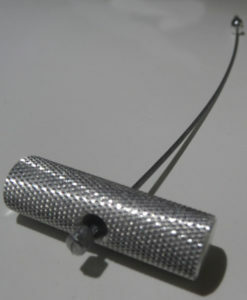 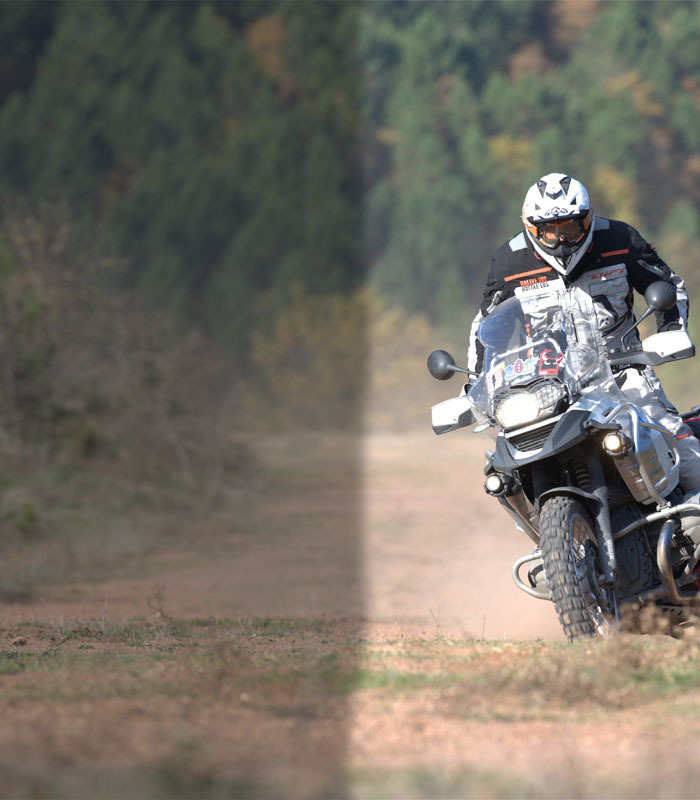 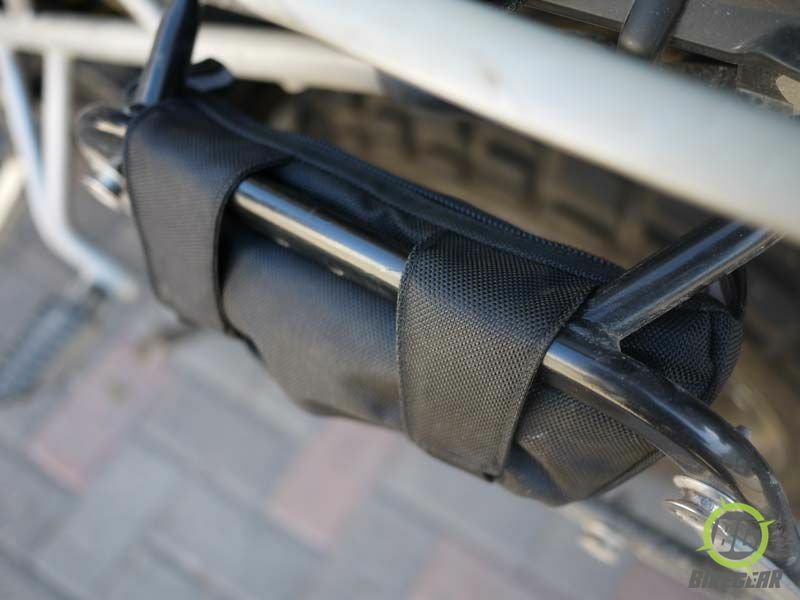 Additional reflective loops allow for fitment to your bike frame as well as your crash bars. 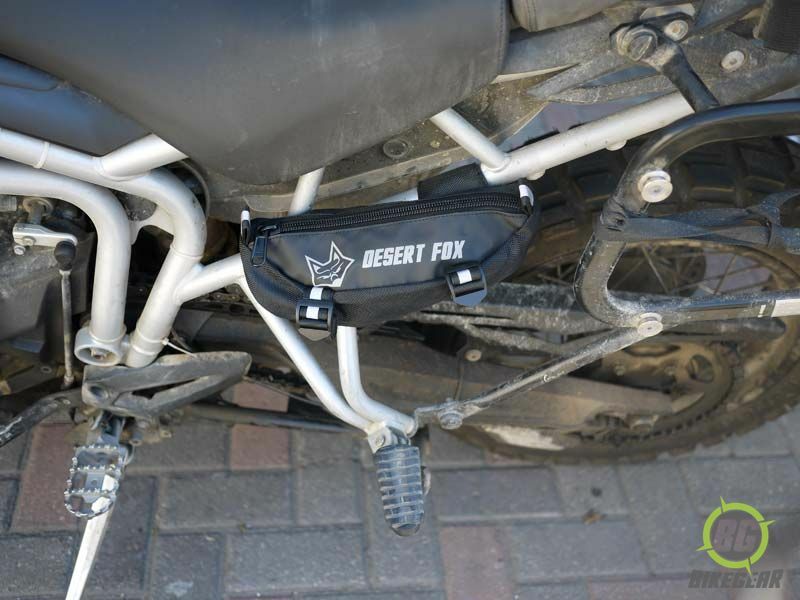 It can even be attached to your belt when not on your bike. 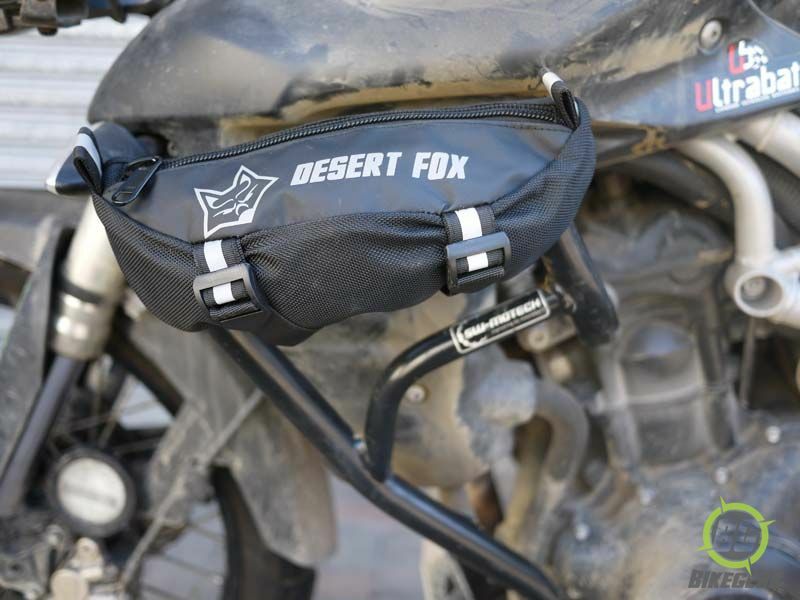 Designed with ease of use and safety in mind, the dual mount system (Velcro and Cinch straps) ensures that this handlebar bag is not only easy to install but also stays in place. 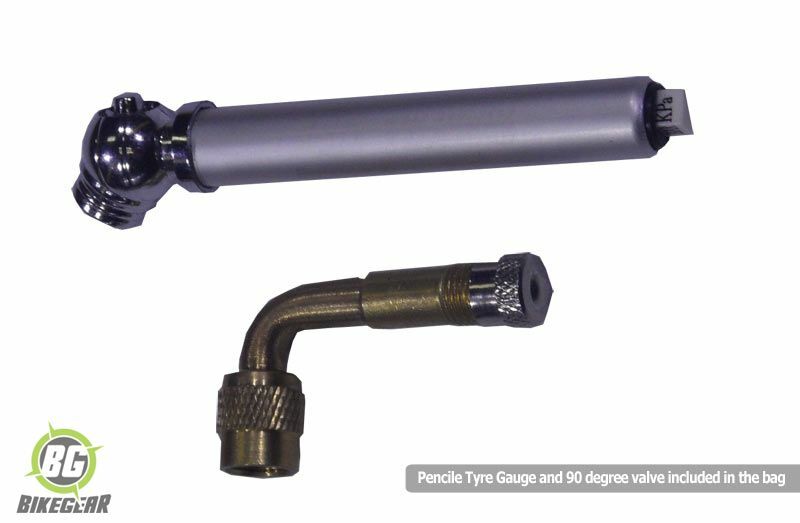 Supplied with a tyre gauge and a 90 Degree Brass valve extension so that you will not have an excuse to check your tyre pressure – a vital safety consideration for any biker. 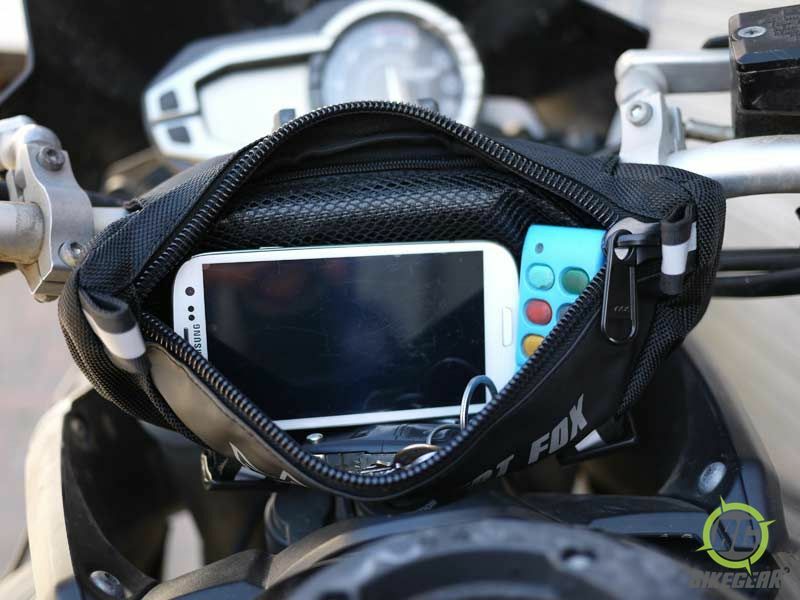 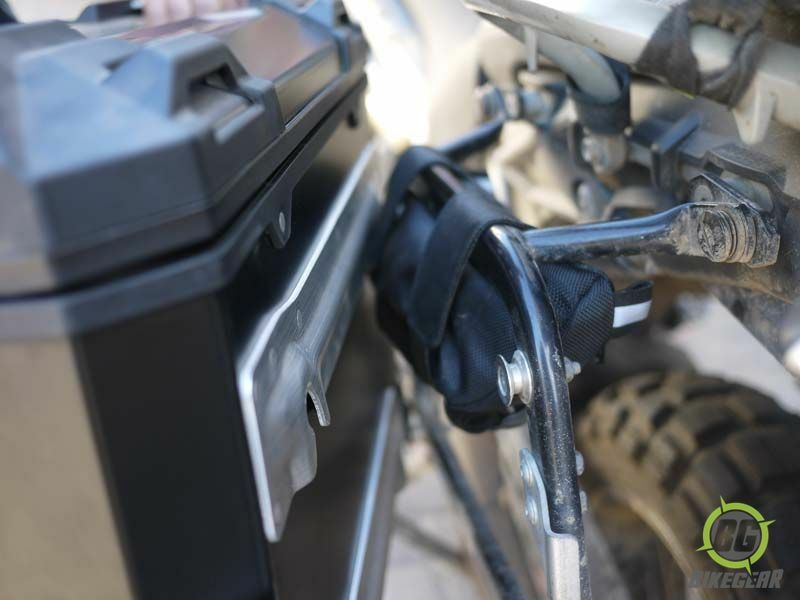 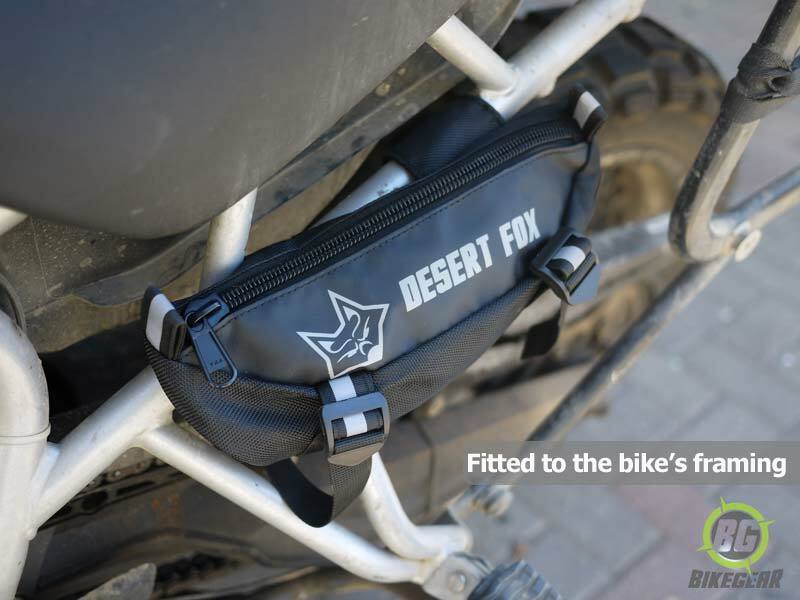 OPTIONAL : The Desert Fox Mobile Lite Mini Motorcycle Tool Kit has been specially designed to fit into the rear zipped mesh pocket of EzPack handlebar bag. 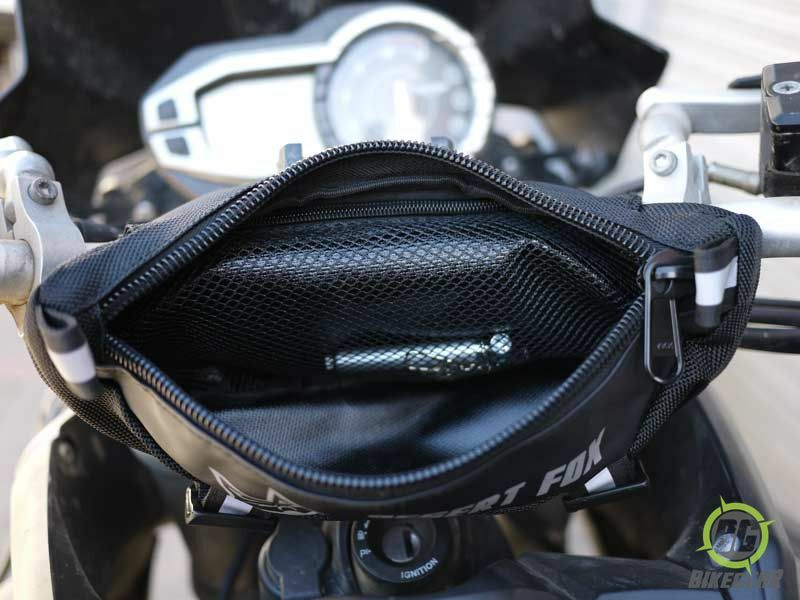 This tool kit is so compact (it easily fits into the palm of your hand) that it still allows space in the handlebar bags main pouch for cameras , cell phones, keys etc . 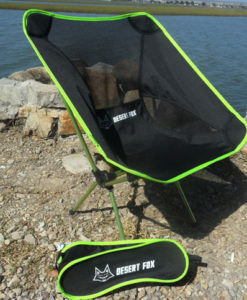 A mini, ultra light and very comfortable camping seat. 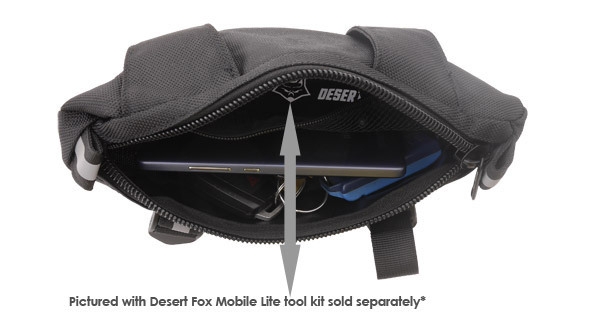 Compact and highly portable. 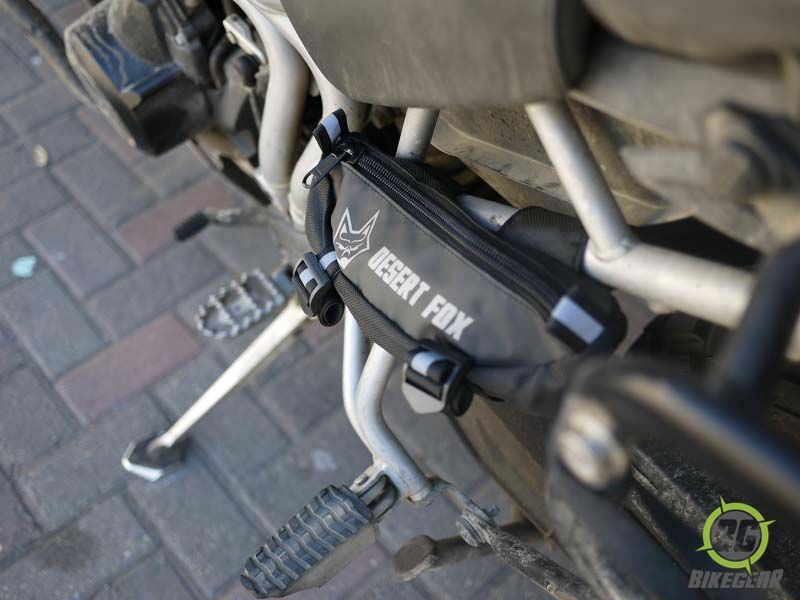 No more sitting on rocks or logs!